I learned about Banned Books Ween when I was in Library School at Syracuse. 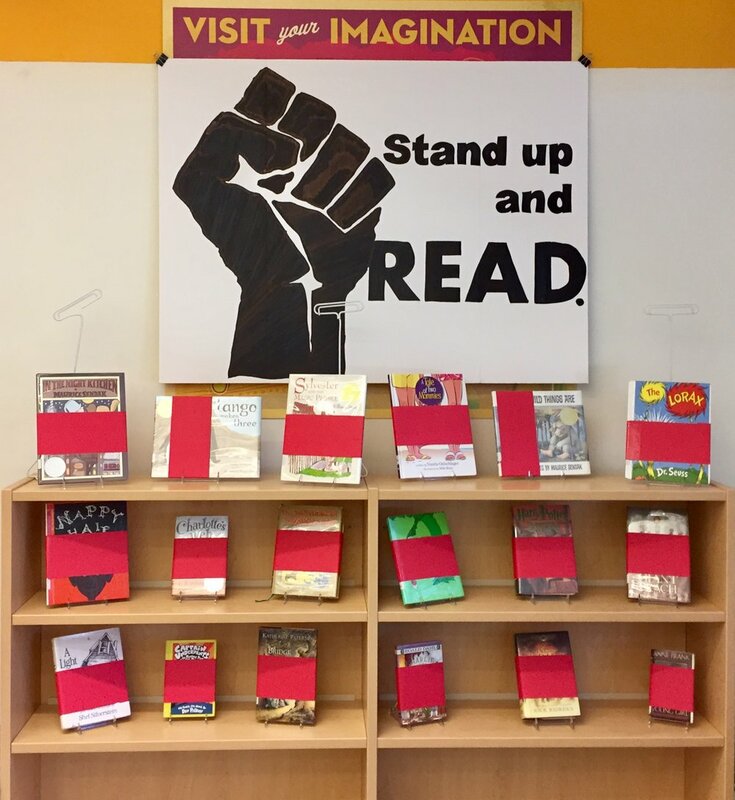 I was interning at Poly Prep Country Day School in Brooklyn, NY and their librarian had an amazing display and information about Banned Books. I was fascinated. I pledged right then and there to make this happen one day when I was a librarian. 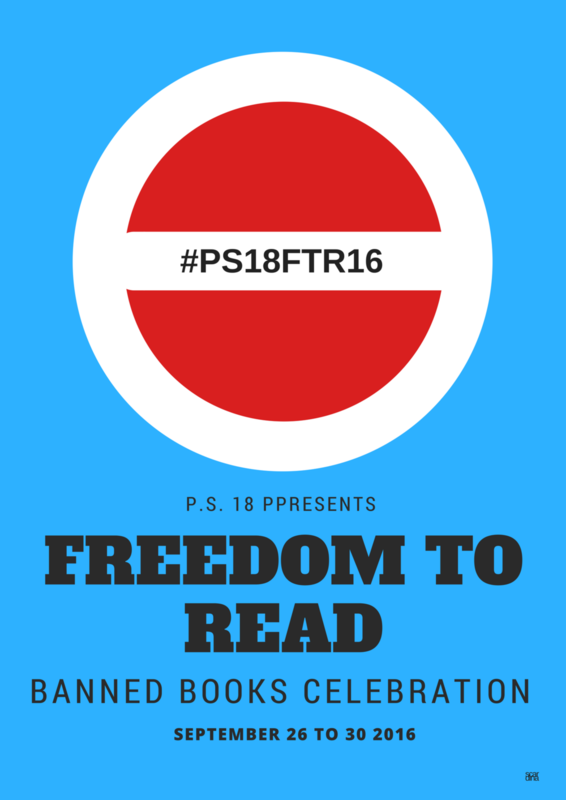 Last year was the first year that I finally made it happen and for a first annual event, it was an fantastic celebration of freedom and reading and the bar has been set high. In 2014 and 2015 I took part in Virtual Read Aloud at ALA to celebrate Banned Books and this is something that I plan to add this year at my elementary school. In New York City, school librarians partner with NYPL through the MyLibraryNYC initiative. I work closely with Shauntee Simpson (@ShaunteeBS) and she set up a delivery of two cases (CASES) of Banned Books to supplement my large collection. I use a portion to display and then dummy-barcode the others and circulate them. I am an avid fan of social media and P.S. 18 has a Twitter account (@PS18JGW), Instagram and Snapchat accounts (both PS18Library). I created a Snapchat geofilter for this event and will definitely do it again in 2017. It's super easy in Canva to create a transparent geofilter. I used these guidelines. P.S. 18 also has a YouTube Channel. A group of students and I got together and created a compilation of images, video and music. Banned Books Week is going to be bigger and better this year. My students learned so much about freedom and censorship through this activity. Knowing what I know now, I am going to build programming that hits the younger K-2 audience in a more profound way. I am not totally sure what that is yet, but maybe if you have some ideas you can drop me a line below. I hope this artwork, images and video inspire you to kick off Banned Books Week in a major way at your own school. Banned Books Week is September 24 to September 30, 2017. Information from ALA can be found here. This flyer was distributed to the faculty to make them aware of the "Free to Read" hashtag. #PS18FTR16 was used across social media. This design was enlarged and hung throughout the school building and used on FaceBook and Instagram. 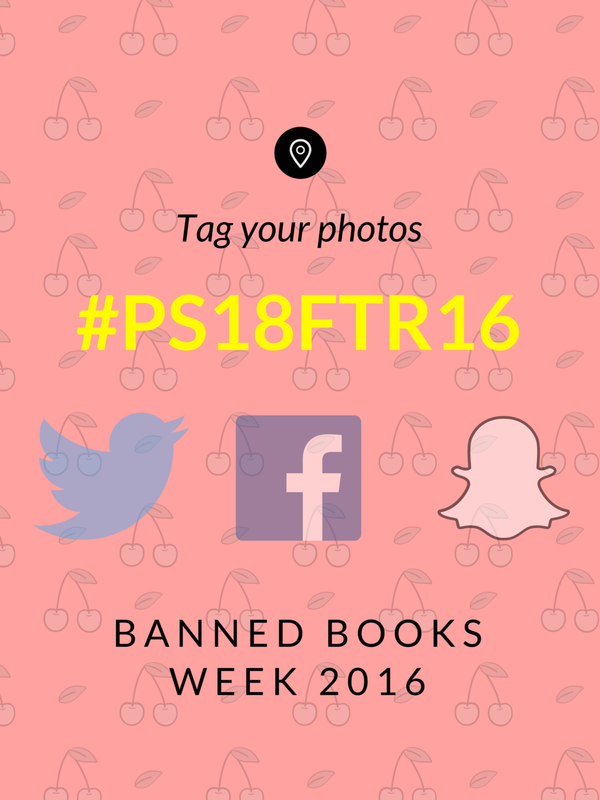 I designed a Snapchat geofilter (see pic below) that ran for the entire first day of Banned Books Week. This is the ghost code for the library's Snapchat account. For the entire day, while inside the perimeter of the school building, and Snapchat user could take a selfie with this filter as a transparent backdrop. See below for some pics from that day. I created a large-scale Raised Fist poster (by hand) for the library. I created this poster in Canva using a scanned image of the artwork I drew. This poster explains the meaning behind the raised fist.